Dr Nick Walton is Shakespeare Courses Development Manager at The Shakespeare Birthplace Trust. He obtained his MA and PhD from the Shakespeare Institute, andbhas taught at the University of Warwick. As Executive Secretary to the International Shakespeare Association he helped organise the Eighth World Shakespeare Congress in Brisbane, Australia in 2006, and is currently working toward the 2011 Congress to be held in Prague. He regularly reviews Shakespearian productions, and he has written introductory material for the Penguin editions of Timon of Athens and Love’s Labour’s Lost, as well as contributing a chapter on Glen Byam Shaw to the book Director’s Shakespeare. In 2009 Nick recorded a stage history for the BBC’s website based around the RSC’s production of Hamlet starring David Tennant, and in 2010 he was invited to Boston to deliver lectures and talkbacks to run alongside the Actors’ Shakespeare Project production of Timon of Athens. Dr Elizabeth Woledge is Outreach and Informal Learning Development Manager at the Shakespeare Birthplace Trust. After completing my PhD (on modern women writers and their representation of friendship between men) in 2005, I began my teaching career working for Manchester Met., Liverpool and Chester Universities. I taught a variety of modules from the Romantic Poets to Science Fiction, I was not particularly fussy what I taught I considered it was all good experience. I enjoyed trying to create thought provoking and inspiring seminars and according to my students I often succeeded. I have, like most scholars, written some journal articles and spoken at conferences but as my own academic work has not focused on Shakespeare you will have to do some snooping to find out more about that. Looking for a full time teaching post I applied for this job after seeing an advert in a discarded newspaper on an underground train. The thing I enjoy most about working for the Shakespeare Birthplace Trust is the diversity of the projects I get involved with. From writing text for the guide book, to creating ‘guide books’ for children and helping to create exhibitions as well as lots and lots of teaching. The teaching here is particularly enjoyable because of the range of people I work with. From 13 year olds from Birmingham to post graduates from Germany – I believe everyone has something unique to say about Shakespeare. 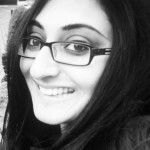 Anjna Chouhan is Lecturer in Shakespeare Studies at the Shakespeare Birthplace Trust. Anjna completed her Ph.D. in the School of English at the University of Leicester on Shakespeare, the Church and the Victorians, and she has research interests in Victorian theatre as well as Shakespeare in the Victorian era. Anjna began teaching at university and now enjoys running sessions with students of all ages from around the world at the Shakespeare Centre. Anjna was the editor of a sourcebook on the late Victorian actor-manager Henry Irving, for Pickering and Chatto’s series Lives of Shakespearian Actors, published in 2012. Rev Dr Paul Edmondson is Head of Research and Knowledge and Director of the Stratford-upon-Avon Poetry Festival for The Shakespeare Birthplace Trust. He is a trustee of The Rose Theatre Trust, co-series editor for Palgrave Macmillan’s Shakespeare Handbooks, and co-supervisory editor of the Penguin Shakespeare (for which he has contributed to several introductions). Stanley Wells is Honorary President and a Life Trustee of the Shakespeare Birthplace Trust, Emeritus Professor of Shakespeare Studies of the University of Birmingham, Honorary Emeritus Governor of the Royal Shakespeare Theatre. His books include Literature and Drama; Royal Shakespeare: Studies of Four Major Productions at the Royal Shakespeare Theatre; Modernizing Shakespeare’s spelling; Re-editing Shakespeare for the Modern Reader; and Shakespeare: the Poet and his Plays.